We stayed at the Holiday In Korea (not to be mistaken with the Holiday Inn) in Insadong in Seoul. 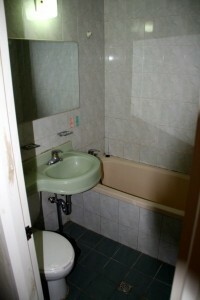 It is a hostel, and offers double rooms for $43 a night. The location couldn’t be beat – right in between two important subway stops – Anguk and Jogno-3. Insadong itself is a top tourist destination, with great arts and crafts shops along Insadongil. The hotel is also just a few minutes walk from the Changdeokgung palace, the most extensive and beautiful of 5 Seoul’s palaces. The room itself was pretty basic, and a little worn around the edges, but the shower was good, the linens were clean, and it came with a fridge, a tv (which we never even turned on). The common area downstairs has about 15 heavily used PC’s for internet, and is also where breakfast was available (serve yourself hard boiled eggs, jam, toast, coffee). In addition, the guys at the front desk (who spoke excellent English) would set you up with a tour or answer any other questions. They also have movies and parties in the common room, and have rooms with dorm beds. 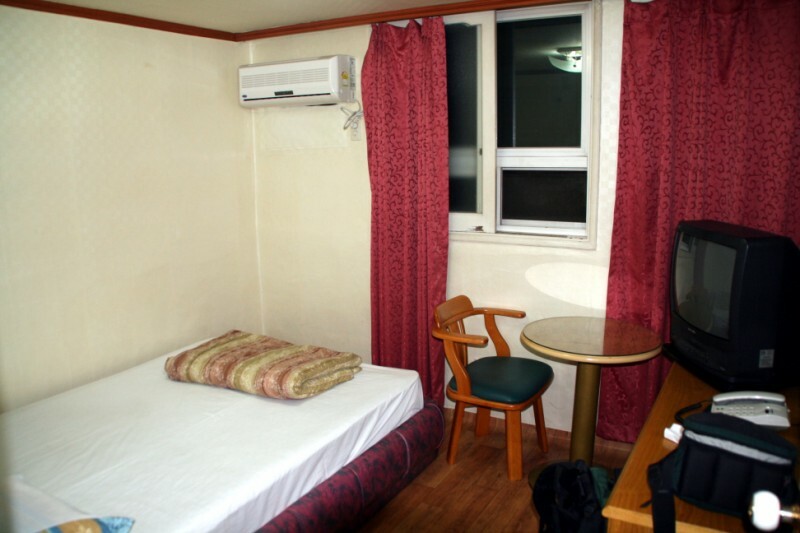 One warning – Cheap hotels do fill up in Seoul in the summer (unlike all the other cities we visited) – and when we tried to make another booking by email for the end of our trip, they never answered our email. It could have been however that emails fom our yahoo.com address were being marked as spam. The guy at the front desk called all the other hostels in the area, but we ended up at a love hotel next door which – well let’s say it wasn’t the highlight of our trip to Korea. Hi! Could you give me the email add of the Holiday in Korea hostel? Thanks! Sorry, we don’t have any information. They do eventually pick up the phone though! Good luck!